St. Thomas More in Spokane (509-466-0220 or 509-934-7662). There are a number of agencies and organization in the Spokane area that provide assistance. By clicking on this link – The Resource Guide, you will be directed to the latest version of the Resource Guide containing possible sources of help for those in need. The resources identified in the Guide change regularly. 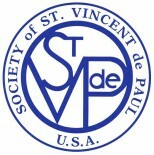 If you find our information needs updating, please send the correction to our email account at svdp.spokane@gmail.com. Our Council and Conferences operate with the help of many benefactors. There are several every day ways to donate and there are times we are in need of specific things, such as “Gloves with Love”. Click here for more information. Information on the Society in the Spokane Diocese published in the Inland Register.